Designed for the SnoLEAF Cascadia Green Building Council’s (GBC) BIG! 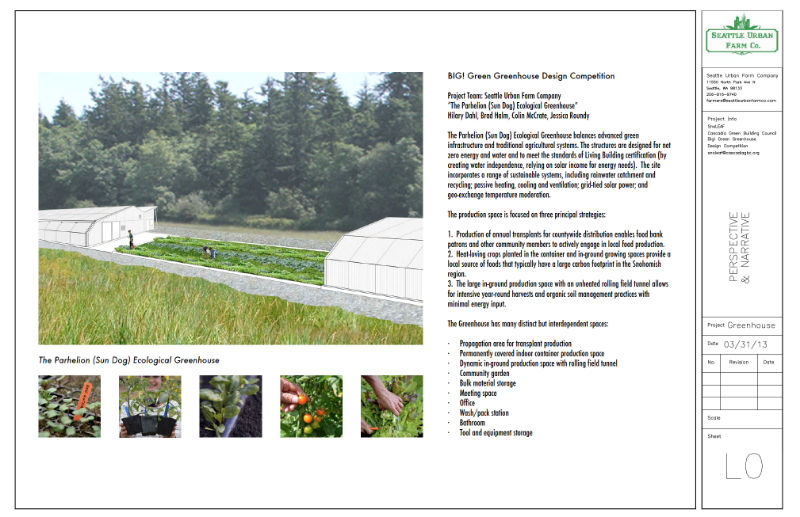 Greenhouse Design Competition, the Parhelion Ecological Greenhouse balances advanced green infrastructure and traditional agricultural systems. The structures are designed for net zero energy and water and to meet the standards of Living Building certification by creating water independence, relying on solar income for energy needs. 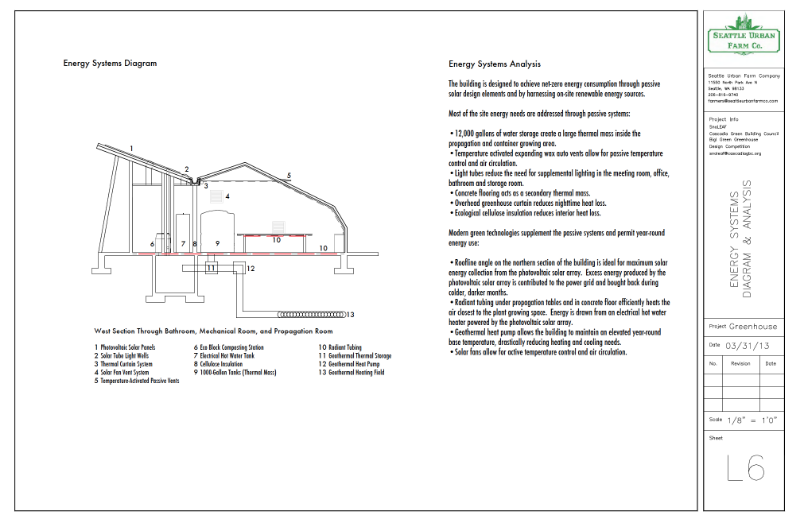 The site incorporates a range of sustainable systems, including rainwater catchment and recycling; passive heating, cooling and ventilation; grid-tied solar power; and geo-exchange temperature moderation. Designed for the SnoLEAF Cascadia Green Building Council’s (GBC) BIG! 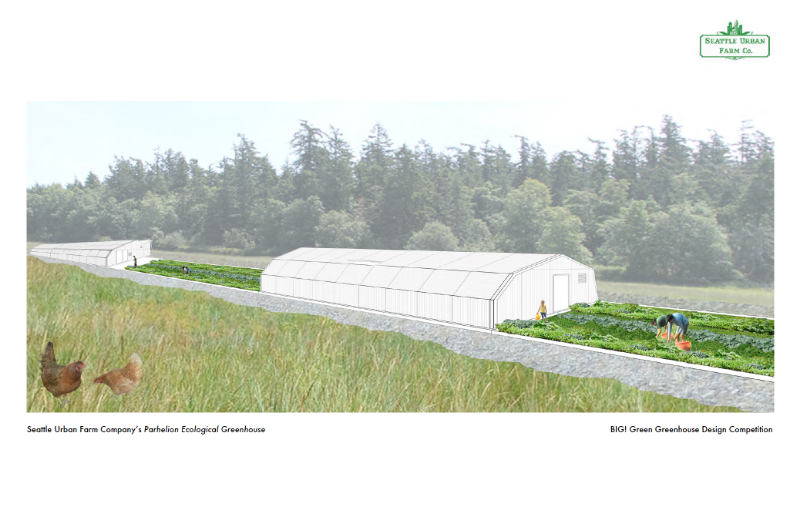 Greenhouse Design Competition, the Parhelion (Sun Dog) Ecological Greenhouse balances advanced green infrastructure and traditional agricultural systems. The structures are designed for net zero energy and water and to meet the standards of Living Building certification by creating water independence, relying on solar income for energy needs. The site incorporates a range of sustainable systems, including rainwater catchment and recycling; passive heating, cooling and ventilation; grid-tied solar power; and geo-exchange temperature moderation. The production space is focused on three principal strategies: 1. Production of annual transplants for countywide distribution enables food bank patrons and other community members to actively engage in local food production. 2. 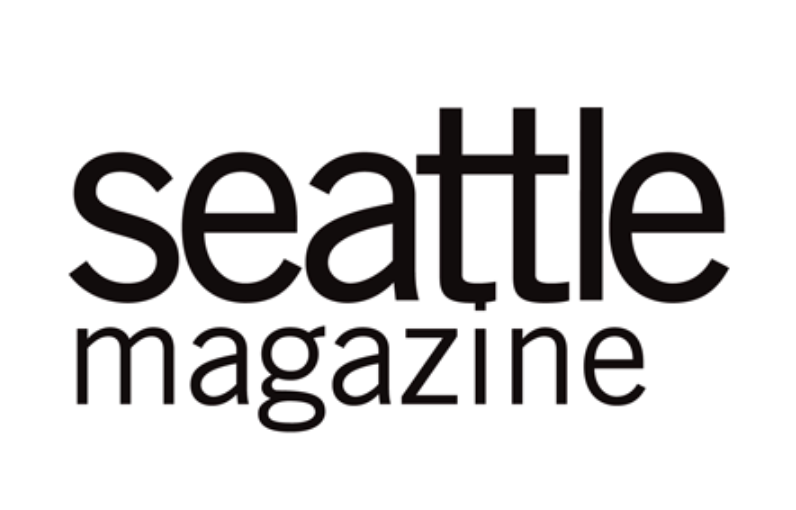 Heat-loving crops planted in the container and in-ground growing spaces provide a local source of foods that typically have a large carbon footprint in the Snohomish region. 3. The large in-ground production space with an unheated rolling field tunnel allows for intensive year-round harvests and organic soil management practices with minimal energy input. 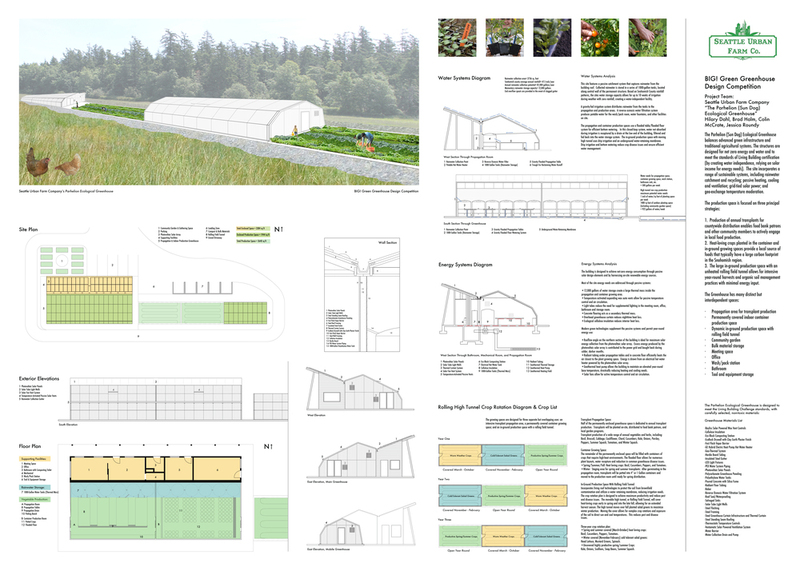 Seattle Urban Farm Company received an Honorable Mention for their entry in the 2013 design competition.